St. Mark’s Basilica in Venice, usually teeming with visitors, is dark and silent as we file in, one recent evening drenched from the rain. Slowly, the lights are turned on, revealing 46,000 square feet of golden mosaic, some dating from 1270, some made with 24-carat gold leaf to represent divine light. The marble floors are composed of more than 100 kinds of marble in different patterns. Wow! Even the most jaded teens couldn’t help being impressed, especially by the story of how St. Mark’s remains were smuggled out of Egypt in the 9th century under a load of pork that so repelled the Muslim border guards that they waved them through. Susan Steer, a Ph.D. art historian originally from Britain and a first rate storyteller, has the crowd spellbound — not easy in a church when people are cold and wet. 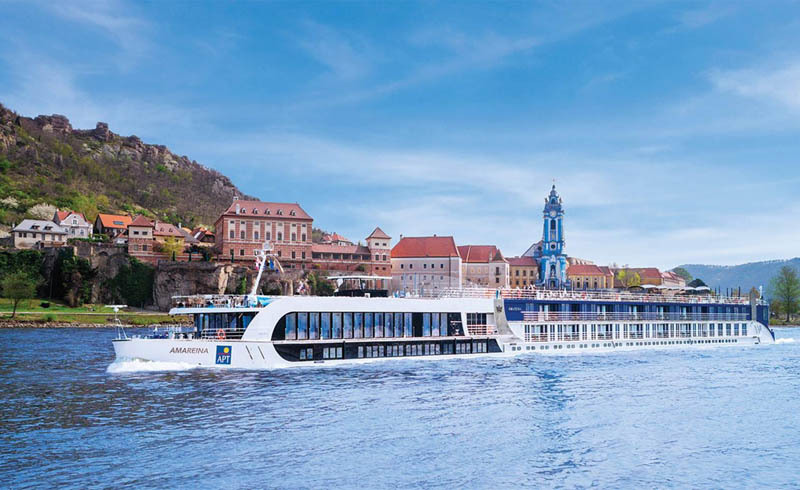 River cruising is a top travel trend and Italy a top destination for the coming year, according to the latest survey from Virtuoso, a leading international travel agency network. That all of the excursions, top-shelf alcoholic beverages, meals and tips are included is another plus. “You aren’t opening your purse all the time,” said Maria Ramirez, traveling with her sister, Elviria Labarre. Nor does anyone feel the staff, who come from more than a dozen countries, is trying to ingratiate themselves for better tips. “They seem to genuinely like their jobs,” said Mae Blanchard, traveling with her father and sister. If you thought river cruises were only for seniors, think again. As the cruise industry reports rising interest in such trips, different lines are seeking ways to broaden their audience with more active excursions, an emphasis on food and wine and yoga and bikes onboard. There are partnerships with Backroads and Adventures by Disney. 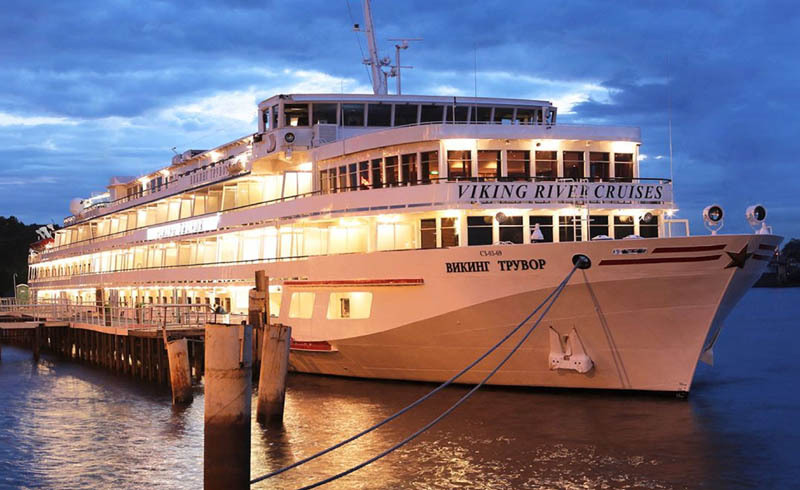 Uniworld is capitalizing on the trend with their own special “Generations” offerings for families, as well as U by Uniworld cruises aimed at travelers in their 20s and 30s. Next year, because of demand, Uniworld will add three additional “Generations” departures with special family excursions and counselors onboard, said Ellen Bettridge, Uniworld president and CEO. These include two in the Venice Lagoons where, notes cruise director Damiano Olivieri, teens often prefer the adult excursions, seeing the churches and museums. On U by Uniworld departures, the average age is 35, with prices starting at $1,499, about $1,000 less than other cruises. These sailings offer shorter itineraries and dates that coincide with popular European festivals like Oktoberfests, paint and wine classes onboard and active excursions (think kayaking on the Seine and rooftop yoga. Look for special Cyber Monday deals). I realize aboard the River Countess where the age skews much older, that family travel isn’t just about parents with young kids. Families, of course, come in all ages and sizes and those aboard reflect that with some active travelers well into their 80s. We are traveling, for example, with my husband’s brother and his wife, both retirees. There are other sibling groups, fathers and daughters, mothers and sons and cousins and lifelong friends who said they consider themselves family. Donna Klotz, 78, from Minnesota, is on her “bucket list” trip to Italy with her daughter and son-in-law — her first trip ever out of the United States. “I had to get a new suitcase — and a passport,” she said. The youngest onboard, Waseem Kahn, 25, is traveling with his mom from South Africa and gave the trip a thumbs-up, though most onboard are more his mom’s generation, or older. “It’s up to you to make it a good time,” he said. Sharing a trip like this with family, guests explain, is a lot more fun than hosting family at home when you are juggling work commitments, car pools “and worrying about meals and clean sheets,” said Tracy Godey, traveling with her sister and their dad. They don’t see each other that much, she explained, because they live so far apart, from the East Coast to the Northwest. The food and wines onboard the River Countess, Antonescu explains, are designed to give guests a sense of place — every day at the buffet lunch, there is pasta, salami, cheeses and meat and fish dishes that are local. Even the pizzas, he said, are made with local ingredients.